Light Up Your Summer Nights! My favorite part of summer has always been pool parties that live on into the night. What I love most about these parties is the magical twinkle of the party lights in the night, as they dance in the warm summer breeze. These sparkling lights add a festive, tropical and even romantic atmosphere to any backyard party. They sprinkle just the right amount of subtle, sparkling glow necessary for your outside entertainment decor. An added effect is the shimmer of the lights' reflections bouncing off of the ripples of the pool water. Your guests are sure to have a wonderful evening and they will be impressed. I had friends who fell in love with my backyard paradise from the first time they stepped into it. Within a month, they were having an inground pool put in their backyard and were building a tiki bar. Even after all of my guests have packed up and left for the night, I love to sit under the little lights by the pool and listen to the tree frogs sing me a lullaby. It's definitely dreamy! It's been about eight months since I've moved from my backyard paradise. I really do miss it now that summer is here, but I intend to create a new one at my new home. Do you use decorative outdoor lighting? Definitely - I love the lights at night too! Sometimes - but I don't have a lot of lights. Not really - I just turn on the outside light. What Kind of Lights are Best? There are many different types and styles of outdoor night lighting to choose from. So, how do you choose? It's actually quite simple! Just decide on the type of atmosphere you want to create and how much light you want. Then just go for it! I love these lights because they are great for hanging in the trees as an alternative to lighting a pathway. If you are like me, I need to see what might be lurking in front of my face. Personally, I want to see if there are spider webs in my way - so I can stay clear of them. They provide just the right amount of clean, crisp, white light to brighten an area. There are no wires or strings attaching them together. This makes it easy to scatter them about your yard wherever a little light is needed. If you have no trees, just hang them from a shepherds hook. You can also use different hook heights to put light where it's needed. These lights are well worth the cost. Each light requires a AA battery. They come as a set of 3 individual solar-powered hanging lights. The cone covering is made of a frosted plastic material. These lights give an elegant look to your backyard entertaining decor. Small twinkling string lights give a magical feel to any outdoor evening party. I prefer the solar lights because you can wrap them around trees, hang them from branches and weave them inside bushes without worrying about electrical outlets and wires. 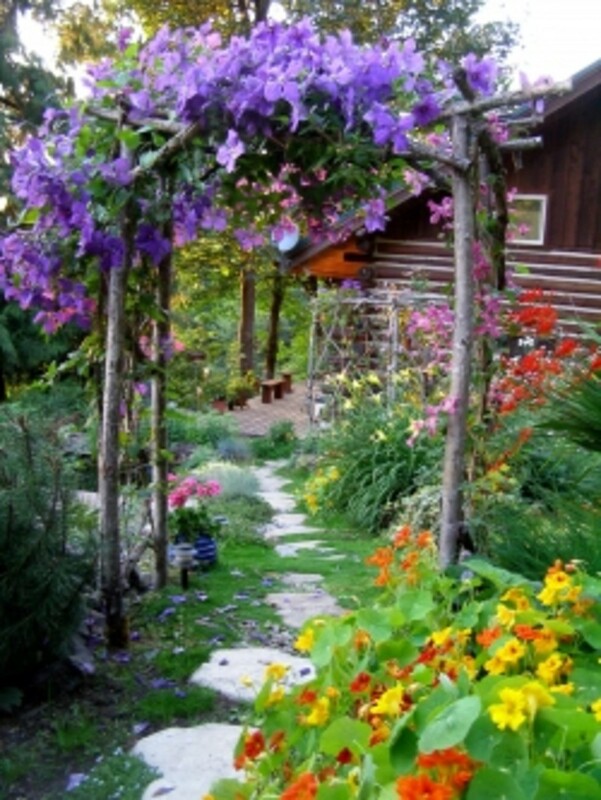 Or if you prefer, just hang them from a gazebo, string them from the deck, or anywhere you want. The white lights are my favorites. They remind me of twinkling little stars dancing in the night air. The slight blue hue of this set adds a cool crispness to the atmosphere and the long-lasting magical glow also adds a hint of romance. 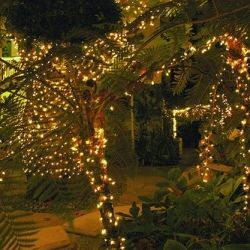 This particular string set only has 30 lights and is about 20 feet in length, so depending on how magical you want to make your backyard paradise, you may need a few sets. However, they are bright and last well into the night. With longer string lights, you sometimes have too much left over, causing you to cram the rest of the set into a small area. This can create more light than you want. Also, what I like about them, is that the wiring is dark, so it blends in with the trees and landscaping. You can also find longer string lights sets on Amazon. The subtle glow of solar path lights is another great way to illuminate paths and give an enchanting and elegant ambiance to gardens and pool areas. 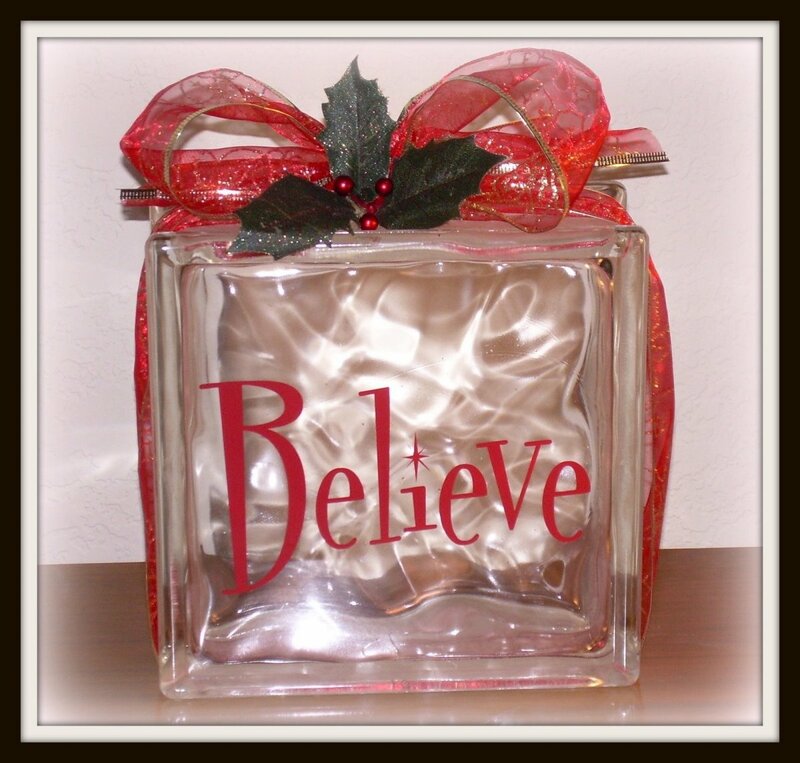 You can scatter these about where ever you want a little extra light. These Westinghouse solar lights are sturdy, and made of metal - not plastic, and they hold up great in all elemets. They are available in bronze or steel. There are twelve in a set. These are lights I have and I highly recommend them. What I love about these lights is that you can switch to different colors. When entertaining my guests, I prefer the white lights. They are brighter and more festive. However, when sitting out by myself, I prefer the soothing golden glow. If you prefer colors, you have that option also. Although, I don't really care too much for the changing colors - except at Christmas time. Unfortunately, this particular product is currently out of stock. But you can sign up to be notified when available. 4 star rating after 128 reviews. Add a real tropical feel to your outdoor entertaining space with tiki torches. I love the classic bamboo style torch. You don't have to spend a lot of money to create the feel of an island luau! Put on a little Bob Marley music - and you're in paradise! These torches are 48 inches tall and are refillable. Real fiery flames flickering in the air is not only beautiful, but can also be mesmerizing. I loved putting them between my tall ornamental grasses around the pool. The reflection in the pool was sensational. (Hint - I always had the filter on with the water nozzles turned slightly upward to create ripples. The light is magical when it shimmies off the gentle movement of the water) However, I didn't use my torches when it was too breezy. The metal and ornamental torches also look beautiful, and produce a more elegant impression. I've seen them in other people's yards, but I have never bought any. I also really like these Chinese paper lanterns. They give off a subtle glow which is perfect for a quiet evening with friends or that special someone, without attracting the bugs. I had these hanging from my lower deck. We had a little "outside room" under the deck - complete with a little bar and TV. These lights give off a comfy glow. This type is string lighting that plugs into an outlet. I prefer the electrical kind when using these types of lights in an area that is shaded for most of the day. What I like about this product is that you can connect several sets together, just like Christmas lights. You can also find solar powered sets. You can find them in larger sizes and different colors if you prefer. What type of decorative lighting is your favorite? Here are a few lighting options that I would love to try out! Don't forget your rechargeable batteries. Solar powered lights require batteries to work. Since I seem to have bad luck with batteries dying too fast, I like to use rechargeable batteries. If you choose rechargeable batteries, don't forget to purchase a charger also. Make sure the charger is compatible with the battery type you use. Do you prefer solar-powered, electric or fire? Wind up Flashlights - Don't Use Batteries! We used to have the solar path lights around our garden, but over the years some have been broken, I must do something about them! I love outdoor lighting - it creates such a special and relaxing ambience. Thank you for some wonderful suggestions. I love the cornet solar lights. Unfortunately, I don't have any good trees or any other place to hang outdoor lights. Maybe someday! Nice lens. I'm a fan of creating an outdoor experience with lighting. Wonderful lens!!! Now I have some new ideas for lighten up my garden.. Thanks a lot for sharing! I LOVED your Lens and could imagine all those sparkling beautiful lights in your garden, amazing! I totally would go for the Tiki Torches if I had a garden. But I have a balcony. I do have some beautiful solar lights. You Lens is very inspiring, thank you! Hi I love these outdoor party light. I use lots of path lights, a few lanterns and hanging string lights. I love the cornet shaped lights!! I love this page! We bought our own house about 2 years ago and I have yet to find something to do with our huge backyard. You gave me tons of ideas! Thank you! I don't have my own house yet, but I would like to get some solar path lights once I do get my own place. I've seen some solar path lights that change colors, so I think it would be cool to get those one day. I'm addicted to these rechargeable and solar powered gadgets. I use Led Candles to light dark corners in and out of the house, they last up to four days with luck before needing a recharge. Love these fabulous outdoor gadgets and lights! I love decorating my backyard esp. in the Summertime using lights and candles. Outdoor lights definitely enhance the beauty of my backyard. Adding candles makes it even more "romantic. 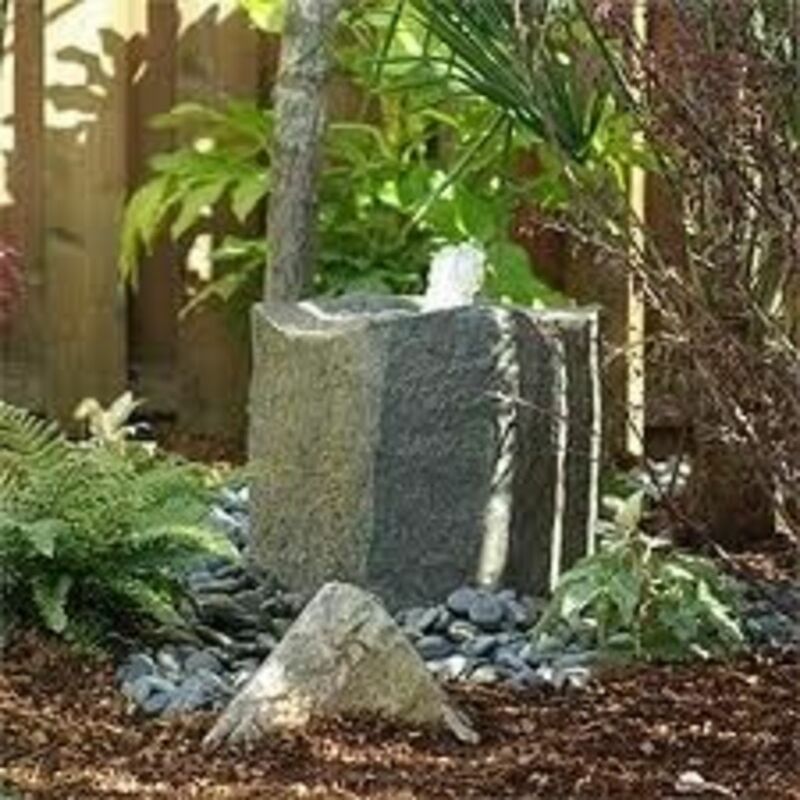 These garden gadgets also create a dramatic, uplifting feel to it. It's like "resurrecting" or transforming my boring backyard into something fabulous or therapeutic. Thanks for this great lens! God bless. I love garden lighting. We have a big forest in our backyard that eventually I want to put a lot of lights in, but we just moved in so we haven't even made any paths or anything yet. This is a very nice lens. Nice lens. A great way to enjoy a warm summer evening and enjoy nature. SquidAngel blessings. An excellent and unique lens. It is very beatiful to light in the night! Very beatiful pictures! I'm a big fan of lighting. In the summer I'm into torch lighting but year-round we have path lights. great selection of ideas ! I loved your lens. I've been trying to decide on what lights. This gave me some great ideas. Really like the hanging ones and really need to get some soon. Nice lens with lots of interesting lighting options. You really make a resource lens on lightning, I like it. summer lighting can be magical! Lijep! Beautiful in Croatian, love the many options you suggest. Your intro image look so romantic and I love your party lights ideas. I would love to try it them. A great lens. I never knew there were so many types of lights. Just love the idea of solar powered lighting but due to the amount of tree coverage in my yard they just don't get enough sunlight to power them. We don't have a backyard but i think lighting up the patio and the little space in front it isn't bad at all...great ideas, i would suggest this to my mom. Awesome roundup of ideas for great ways to light up the outdoors! Congratulations on LOTD - you really did a wonderful job on this lens. 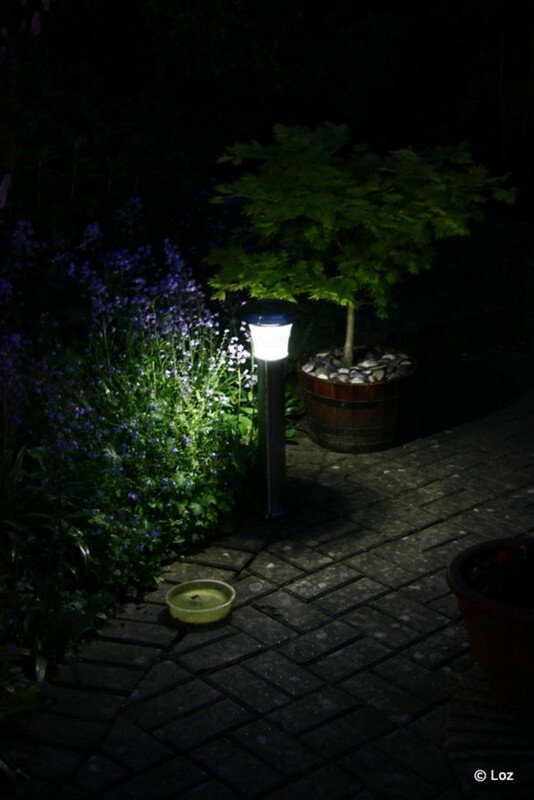 We love our solar lighting for the garden and walkways. Great lens. I'm just landscaping my garden so it comes at the right time. Wandering out to the deck right now to enjoy my lights - and consider a few new additions. Nice lens! Nice idea for the next party. Hanging lights are definitely great, not only it brings beauty to your surroundings, but also provides safety. Great information - gives me a project to start thinking about. I'm always looking for more ideas for outdoor lighting. Summer nights with lighted landscaping are beautiful. Congratulations on being LOTD - this is a fantastic lens! Thanks for featuring solar lights, once they're operating properly they're a wonderful lighting solution. No need to worry about power points or changing batteries. One warning: Sometimes the solar panels need to be wiped clean (try a damp flannel) so the sunlight can reach in. Thanks for sharing. Love my solar powered lights at night! Congratulations on your well deserved Lot! Simple, efficient and good looking ... what more need you from a piece of light ? These are all so pretty. I wish I had an outdoor area to enjoy outdoor party lights!! Congratulations on LOTD, nice job. Congrats on LOTD and an awesome lens ! Great Lens...congrats on LOTD. Blessed! You covered it all, wonderful! Great lens. Congratulation on your LotD and also on Featured lens. 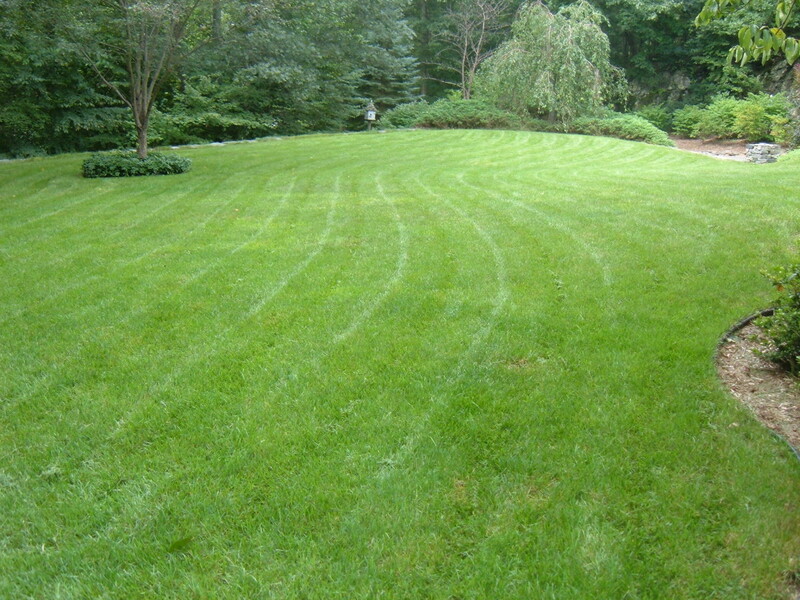 Very informative and helpful for anyone wanting to beautify their backyard. Thanks for sharing this. Congratulations on making Popular Pages - Featured Lenses AND Lens of the Day! You stated exactly how I feel in your first two paragraphs. Love little lights at night, great lens! A lot of really good lighting information. Congratulations on getting LoTD! Great intro photo, it really grabs your attention. I have seen some dramtic lighting in trees which really give a great look at night. Very nice! I did not know that there were so many types of outdoor lighting options. When we get our deck re-done I will be checking some of these out. I really like those bamboo stick things too! Congrats on LoTD, I prefer the solar lighting since these are more flexible to use. Great lens.Good option for the 4th of July. Great information. I really like the solar lights best. Congratulations on LOTD. Great ideas! I have some solar lights in my yard for sure! I have only recently learned about solar outdoor lighting so this lens is very informative. I am confused, however. If the lights are solar, why are batteries needed? I was under the impression that the power comes from the sun. It seems to be more of a hassle than a pleasure if you have to use batteries. congratulations on LOTD! great to see so many votes for solar power! Congrats on a great lens. It gave me lots of ideas for my backyard. Congratulations on LotD! I had wanted to do a lens on lighting because it is one of my favorite decorating methods too, but you really covered it! Good point about the small lights not attracting bugs. Useful lens. Congrats on LOTD. Congrats on LOTD. Great lens. I like the clear lights. I think that they look elegant! Lighting make a backyard look so festive. Congrats on LOTD. I love the magic of lights in the garden at night. This is especially true in the summer. I love sitting in the garden after dark surrounding by hundreds of twinkling lights. Great outdoor light selection. Congratulations on LotD! The theme fits this great lens perfectly! Great Lens! I love Garden's lighten up. Great lens! Outdoor and garden lighting is so great. Great lens and lens theme! I live in an old rented condo and the exterior outlets and lanai walls are not conducive to hanging lights or electric anything. When it's cool enough to sit outside in south Florida, I light a few candles for ambience. Inside the house, I use Christmas lights year-round for effect.